to quickly calculate the heat transfer coefficient. 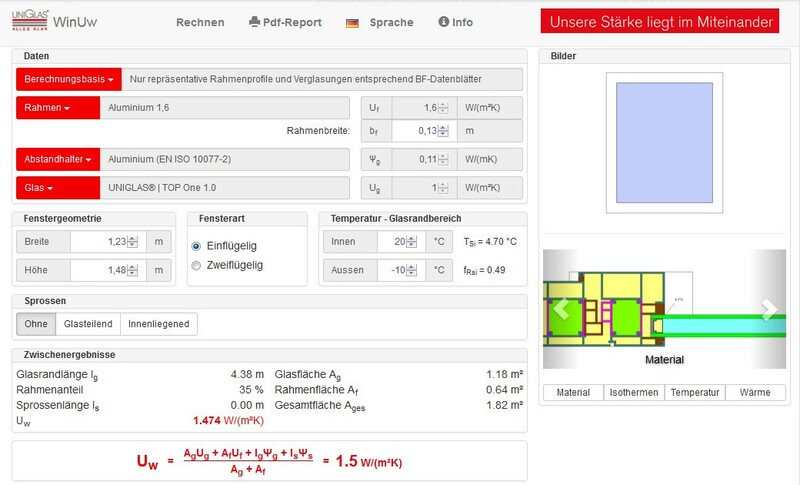 UNIGLAS®| WinUw is the software solution for easily and quickly calculating the heat transfer coefficient (Uw value) of windows in accordance with DIN EN ISO 10077. The impacts of window formats, glass, frames and edge seals can be easily detected with this calculation program.